This is the second part in a blog series about strategies for writing a novel. Having already established in part one that the very fact you have chosen to write a novel calls into question your sanity, your social life, and your prospects for the future, let us move on now to the process itself. Now that your pre-writing is accomplished, it's time to get down to real business: your first draft. Writing your first draft can be a source of great joy or of terrible anguish. Many aspiring novel writers get a few thousand words in and fall apart. It's harder than they thought. It takes too much time. They don't know where to go. If you find yourself struggling constantly with moving ahead and constantly write yourself into a corner, perhaps you need to take a step back and return to pre-writing. Pre-writing can help you make your characters more vibrant, more complicated, and can throw you into an ocean of ideas as limitless as your vast imagination allows. My first, and probably best, advice on the rough draft is simple: just write it. Don't worry about your verbs, your sentences, your chapters. Don't go back and edit. Push on all the way to the end. Be creative. Be bold. Be experimental. There is nothing you can't go back and fix later in editing. And believe me, you will be doing a LOT of editing. A few bits of advice that work for me and might just work for you. For me, the best strategy for dealing with this scenario is to put the novel aside. No need to force it. Close your computer, put down the pen. Tiptoe backwards away from the scene of the crime. Go about your day. Take a hike. Even go to your day job if you have to. But as you plod though your regular life, keep your story and where you are stuck in the back of your mind. The perfect idea or detour to get you back on track might just come to you by surprise. You know it when you feel it, that perfect solution to your problem. It makes you buzz from toe to head. Keep a pocket journal with you (I almost always do) so you can jot down the idea(s) before they slip away. As soon as you can, get back to the writing. Another suggestion that sometimes works is a simple change of venue. If you always write in the same place, your office or bedroom, move to a different location. Go to the library or even just to a different room in your house. Amazing how a fresh setting can change your attitude. Sometimes I just have to put aside the computer, and take out a pen and paper. A quiet place next to a creek or copse of quiet trees can recharge that flow of ideas. Some writers hate the idea of a daily word goal, saying it makes writing too much of a chore and puts them at risk of giving up. If you find that to be true, don't do it. We write because we love to, and the last thing you want is to make yourself hate the process. Then you'll never finish. For me, however, a daily word goal keeps me on track. It forces me to write even on days when I'm "too tired" and probably wouldn't. At the end of each day, I write down exactly how many words I get through on a calendar so my progress is constantly staring me in the face. Days when I don't hit my goal, I force myself to make up for it the next day. Days when I go over, I congratulate myself but erase it from my head and start all over at zero when morning comes. One-thousand words has always been a useful number. With that, you can write a 90,000 word rough draft in three months. Some days I'll go over, even as high as 6,000 words or more on a great day. Others I'm stuck at 400 and can't believe how hard it seems. But taking it one small goal at a time keeps me from getting overwhelmed and keeps me from getting derailed and giving up. 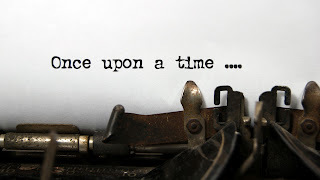 That's it for part two of my Writing Your Novel blog series. To sum up my advice, getting through that first draft comes down to setting achievable daily goals and not letting yourself get bogged down in editing. Keep writing until you reach the end and don't let yourself look back. Wow, great article, I always enjoy reading articles like this, because one can see that they are written by professionals in their field. I stopped at this post really accidentally cuz I was looking for the best way how to do my term paper easier but I may say that your thought will be useful for me, thatnks a lot! Thanks for reading! Glad to hear my strategies can be applied to other types of writing besides only novel writing. Best of luck with the term paper!